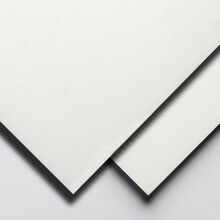 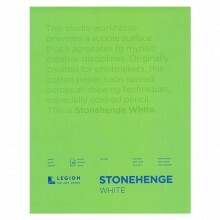 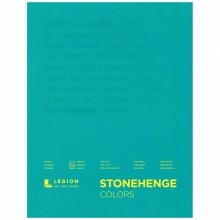 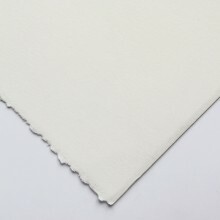 Stonehenge paper is a hardwearing 100% cotton paper for printmaking, painting, collage and other fine art applications. 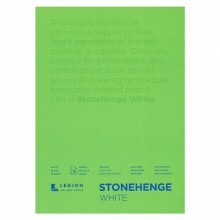 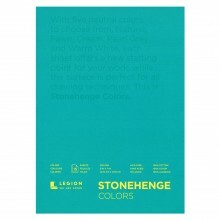 Stonehenge was created in 1972 specifically as a 100% cotton deckled paper for the printmaking community, made to rival the more expensive European mouldmade papers. 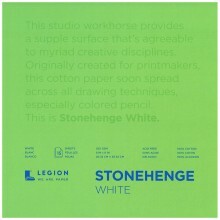 It was quickly adopted not just by printmakers, but by artists across working in a broad spectrum of media.